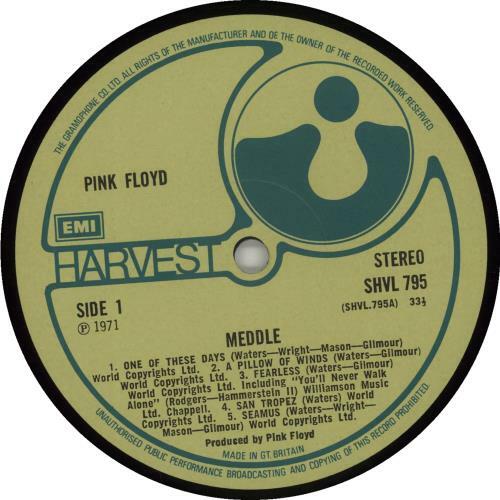 PINK FLOYD Meddle (Archive Quality 1971 UK first press 6-track LP, with 'Gramophone Co' label credit & EMI box, fully textured gatefold picture sleeve with 'Patent No.' text at the bottom right on the inside & Harvest catalogue inner. 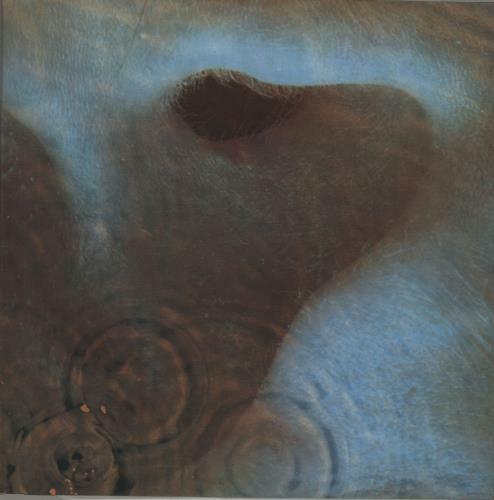 Classic Floyd, opening with the fearless 'One Of These Days' & ending on the epic 'Echoes'. This is a glorious one owner copy. The sleeve shows minimal shelfwear & the vinyl remains near 'as new' with few signs of play SHVL795).